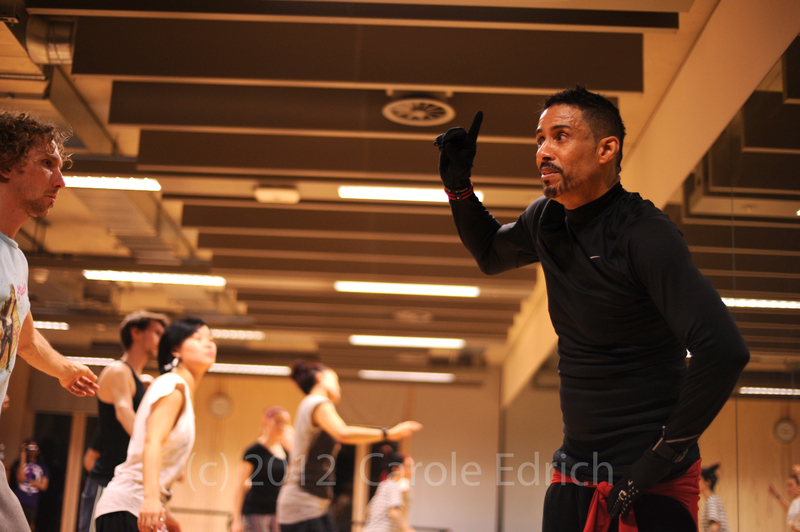 Shabba Doo came into the class working his half-moon tambourine so well that by the time he reached the front he already had us on a high. However what I most value is the insight he gave into the historical, cultural and ethnographic contexts of the moves. Images as usal sharp clear and dramatic another triumph, you have a very good eye. I was listening to a prog on Radio 4 where they were talking to photographers they all said fill the frame and be careful. You do that in buckets, when I photograph my subjects Trees and barks I try to focus on a single aspect of the bark or a hole in the tree or an aspect of the root formation. Your chosen is dance your concentrate on Movement, The postition of limbs, The colour and other aspects are secondary the passion of the moment, that fleeting moment which one gone is gone for ever!